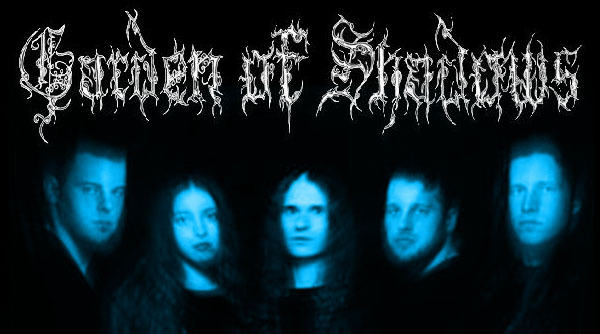 GARDEN OF SHADOWS began in the summer of 1995 in Maryland, USA, with the line-up of Brian (guitars), Mary (guitars), Chad (vocals), Scott (keyboards), Dave (bass) and Kevin (drums). Within a few months, they parted ways with drummer Kevin due to musical differences, and bassist Dave left shortly after. The band went through over a year of stagnation working with various drummers. In the fall of 1996, Bret (former drummer for Maryland"s SADISTIC TORMENT) joined the band, enabling them to finally realise their vision. After six months, they recorded their highly acclaimed debut demo "HEART OF THE CORONA". In February 1998, the band signed an agreement with X-RATED RECORDS to release their debut demo on CD. Also at this time, bassist Owen was added to the line-up. They entered the studio in March to record a new song "SHARDS OF THE SPHERE" which would appear as a bonus track on the MCD. Due to problems with the recording studio, the band was forced to go into a second studio in order to complete the mixing of this song. After many delays, they were able to master all six tracks in June. The "HEART OF THE CORONA" MCD was released in December 1998. During this time, the band parted ways with keyboardist Scott, bassist Owen moved over to guitar synth, and bassist Sean was added to the line-up. 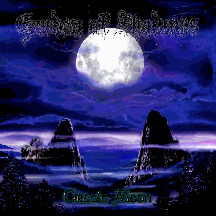 In March 1999 the band signed a deal with Wicked World, and in July, they began to prepare for the recording of their first full-length album of distinctive epic and emotionally charged death metal entitled "ORACLE MOON" which was released on 28 August ‘00. 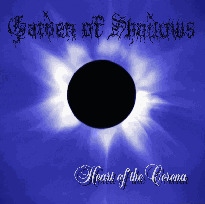 GARDEN OF SHADOWS have played shows in MD, DC, VA, PA, NJ and NC, opening up for a wide variety of bands including DIMMU BORGIR, SAMAEL, IN FLAMES, MOONSPELL, SIX FEET UNDER, OBITUARY, SUFFOCATION, and MY DYING BRIDE.